Maternity session photos at Indian Riverside Park at golden hour. Photos were taken by the river with pops of green from the sea grape trees, and behind the Tuckahoe Mansion. Click to see more! 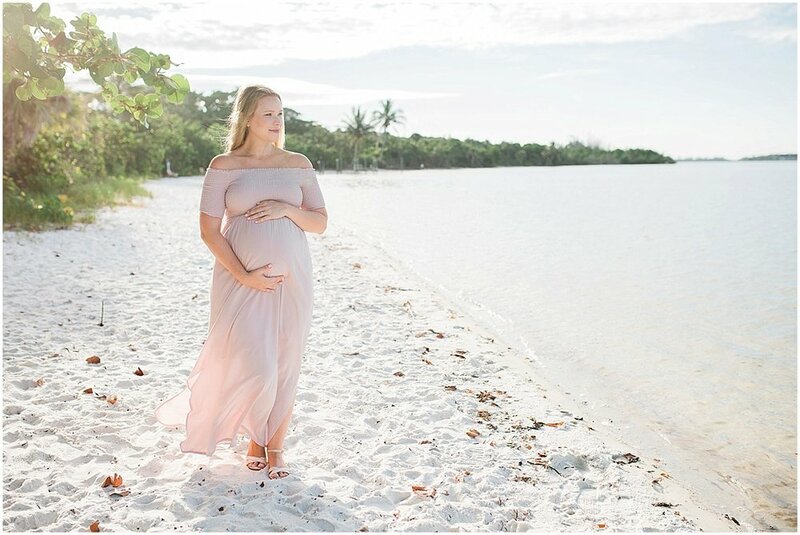 Come check out this beautiful maternity session featuring a gorgeous cranberry colored floor length maternity dress! The couple was photographed at House of Refuge Beach, one of Stuart’s historic landmarks. Click to see more! It's an honor when a client returns to me for more photos. And this time, Miriam had reached out to me after I had photographed her engagement session as well as her wedding to tell me that she was expecting soon and wanted to have maternity photos done at the park. I immediately jumped on the opportunity to work with her and Michael again. I seem to never grow tired of photographing maternity sessions. They are some of my favorite sessions. One of the things that I am particularly fond of is photographing first time mommies. The anticipation and joy that they have for what is to come is so refreshing. And, it brings me back to when I carried Easton and how I felt prior to his arrival. The best advice I can give to expectant first time mommies is to get enough rest and also enjoy the last few months of it just being you and your husband. I was so happy to photograph Shelby and Brian's maternity session at Hobe Sound Nature Center this past week. We had a wonderful session and perfect weather! I expected there to be mosquitos and humidity, but thankfully, none of that was apparent. Both Shelby and Brian are a dream and their baby girl is expected to be here in early Sept 2018, what a lucky girl to have such amazing parents! Here are some of my favorite images from our time together! UPDATE: Shelby and Brian had their baby girl..Click here to see their newborn photos! And here is their video slideshow! 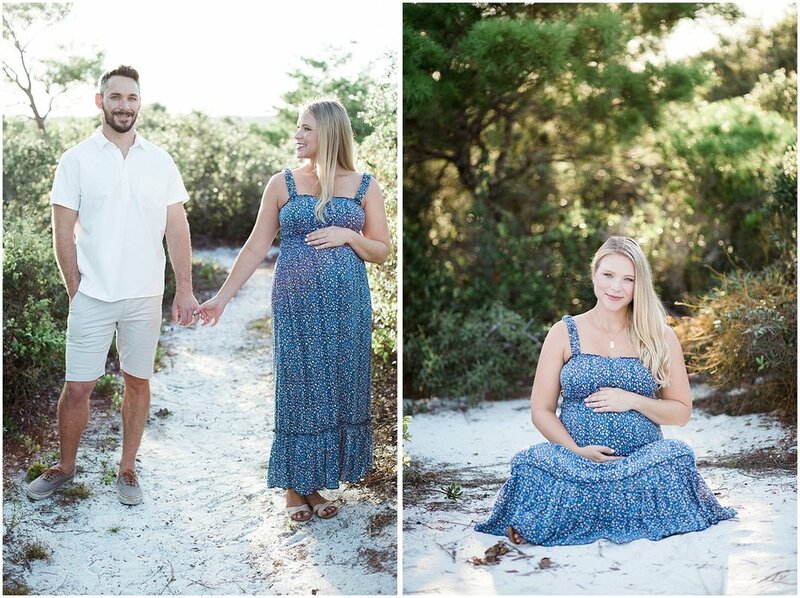 This sweet family drove all the way from Boynton Beach to photograph their maternity session at sunrise! I am so honored that they would wake up so early to have me photograph them! So pleased with this maternity session at House of Refuge! Click the link to view the photos! Spring is in the air! Well, at least it has been lately with the cooler evenings we have been having. It’s hard when you live in South Florida to experience the seasons as the rest of the country does. But I’ll pretend that we are! I am excited to be posting Ashley and Crisman’s maternity session at The Hobe Sound Nature Center! It was a gorgeous spring afternoon, we couldn’t have had a better day! Ashley choose this location because of it’s natural woodsy appeal, plus the fact that it has an access to a little white sand beach that leads to the Intracoastal. I’ve shot at this location before, but I had never gone down any of the hiking trails that they have. I was pleasantly surprised and will definitely be visiting it again for a hike in the near future! Ashley and Crisman, thank you for allowing me to document this oh so special time in your lives!! I have a great confidence that you two will be amazing parents to your little boy!